Learn more about Terrazzo Australian Marble. A mixture of cement, marble aggregates and pigments, terrazzo can either be made into precast elements or poured on site insitu. Polished, honed or brushed terrazzo can be tailored to suit a wide range of tastes and interiors. 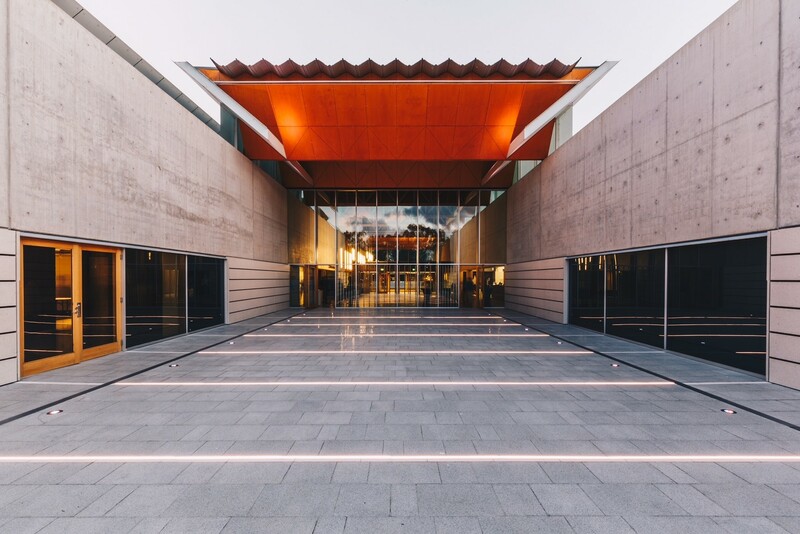 National Portrait Gallery Canberra – Supply and installed external paving. Sustainable design continues to take center stage in 2019 for building physical objects and creating spaces. Practitioners in urban development are accelerating in adopting materials that have minimal environmental impact, if not eliminating negative effects, from sourcing to polishing. The root is not solely on acquiring and using the materials, but the bigger weight is put on design. Whether it be terrazzo, wood, or asphalt, the materials’ components and structure would be useless if the design does not put its strengths into play. Across the globe, sustainable outdoor and urban designs are being highly incentivised by the government to encourage local public and private entities to push the standards higher when creating infrastructure and construction projects. One of the most common upgrades to urban space is the reconstruction and redesign of walkways and pavements to answer several challenges brought about by natural elements (e.g. heavy rainfall causing floods) or human requirements (e.g. safer and more accessible walkways for persons with disabilities). In Australia, a Water-Sensitive Urban Design (WSUD) approach is the lead practice to ensure urban water cycle and water supplies are integrated into urban design to achieve minimal damage, improve aesthetics, and overall appeal of the space. This approach, when applied to pavement and sidewalk design, continues to use permeable (or porous) pavements among other materials. 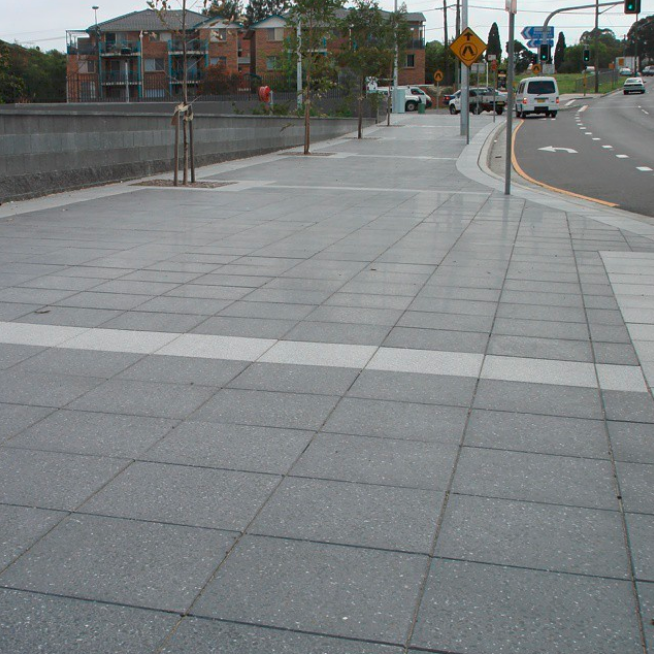 In urban development groups, permeable pavements have been known for more than three decades. It is used as an alternative to more common materials such as cement or asphalt. It is mostly used as part of an overall water management strategy. It helps manage stormwater and other urban water surplus by allowing water to drip through it into the soil. Given that this material answers several environmental benefits, the challenge for urban designers is to use this material and still execute a design objective. Identifying materials that can withstand and function perfectly with outdoor elements may seem easy for urban developers. But when faced with design challenges, many find it challenging to find other elements that may complement the functional strengths of permeable pavements. This is where terrazzo comes in. With flexibility in terms of colors and finish, Terrazzo becomes the ideal element to complement permeable pavements. Whether it is having cohesive patterns running through street walkways or creating functional elements such as benches and counter tops, Terrazzo will surely be an element of choice to put urban design visions into reality while keeping sustainable design practices in check through permeable pavements. Timeless design leaves lasting impact. Combining elements which are highly functional, sustainable, and aesthetically sound creates livable spaces for generations to enjoy. To know more about Terrazzo and how it can be integrated with outdoor designs which also maximize permeable pavements, talk to Terrazzo Australian Marble today.